Absorbent pads for Hamac swimwear. 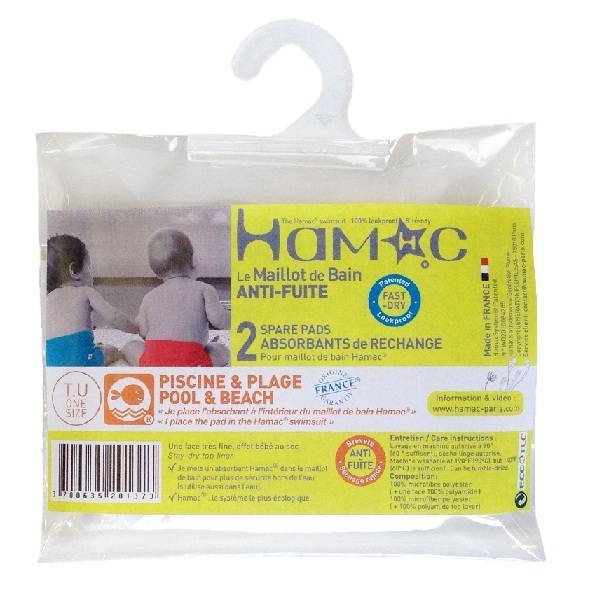 These pads are ideal for placing in the Hamac swim nappies specially adapted for swimming in. They are super absorbent and comfortable for a fun day out by the pool or at the beach! One size. - Absorbant pads for Hamac swimwear : specially adapted for swimming. Ideal for the pool/beach! - Polyester, microfibres that are fast drying and flexible! - Pads are also washable so can be used more than once! - Machine wash at 60 °. Product may also be gently tumble dried.